There is no better time than now to make money online as a mom. In today’s episode I’m diving into the 3 main categories that all money making options fall into and 12 options and ideas to get you started! Get your notebook out and be prepared to brainstorm all the ideas and you start your money making journey online as a mom. 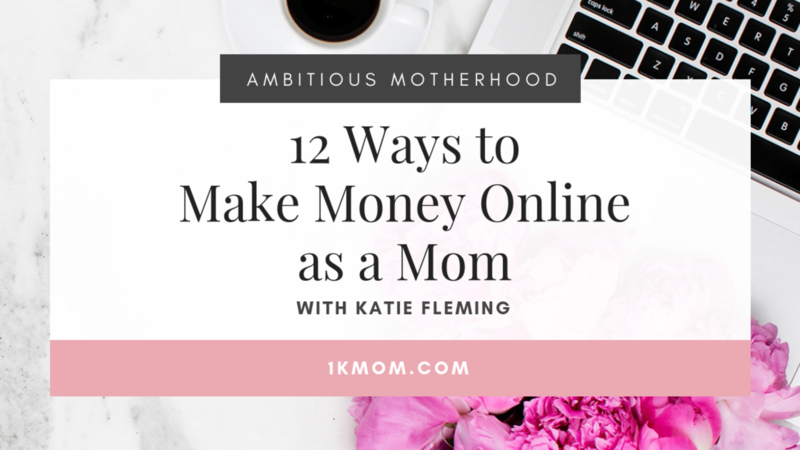 There are many more ways than just these 12 to make money. This list is not all inclusive but it is meant to be a great starting place for you to gain ideas and inspiration as you start your journey online. In my opinion, all money making options from home stem from 3 main categories. Let’s go through each category one by one and share some ideas of options that fall within that category! This is my most favorite way to make money online because it gives you a lot of leverage and the ability to utilize your expertise while leveraging your time on the backend. You could sell a digital course. This is you packaging up what you know and putting it into a specific format and selling it. For example, creating a course on how to crochet. 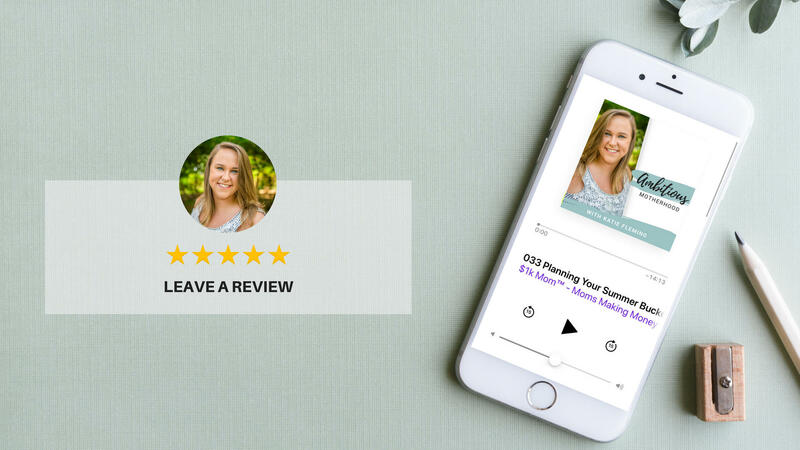 Another example of this is 30 Days to $1k, my signature program that guides you through how to make your first $1k without sacrificing your family life, by monetizing your expertise through digital products and coaching. Hint, this entire category is my JAM! You could host a virtual or in-person workshop. Whichever format you choose, the point of this workshop is to help people create a specific result. For example, Social Media for Realtors, come for the day and let’s set up your social media channels and plan. Create an ebook based on your expertise. The best way I’ve found to do this is start by creating a basic outline then fill it in more detailed. Then once your outline is incredibly solid, take it to a Google Doc or Word Doc and begin to write. Don’t focus on making it pretty or building the design right now, just get the content out. 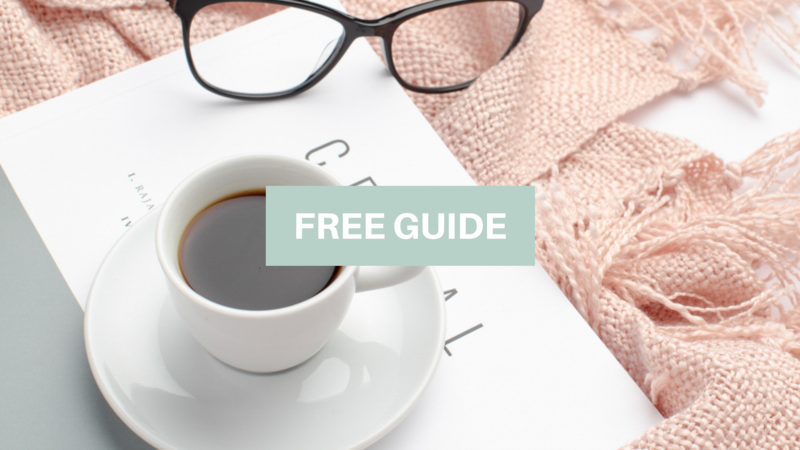 Once you have all the content, you can hire a designer or use FREE tools like Canva.com to design your ebook. 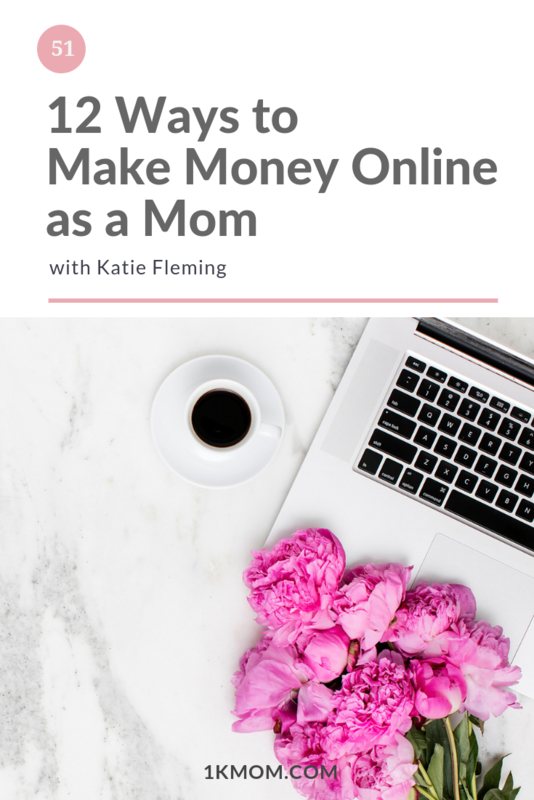 For example, if you have a successful blog full of at home crafts for moms to do with their family, you could corale all of your posts into one ebook, and package it and sell it. If you’ve had results or have a specific process in which you do things, you could become a coach to help people achieve a specific desired result based on your experience and methods. Coaching is really guiding and supporting them on their journey towards the transformations they are looking to achieve. For example, there are money coaches, financial coaches, business coaches, mindset coaches, health coaches, etc. It really all comes down to the story you have to tell and how you can help them gain the TRANSFORMATION they are looking for! In my group coaching for mompreneurs, we work on taking your business to consistent $5k months! If you’re looking for the business plan that you need to get to $5k months without working yourself to the bone and prefer to work naptime hours, then apply now for the waitlist here. There are so many tools and websites for you to leverage to sell templates and printables if you are a rockstar at design and have an eye for that but also love a good printable or template. To name a few Creative Market and Etsy are great places for printables and templates. Each one has their strengths and the types of templates they do well with, but this is a great option. An example of this is my friend Ashley Canipe from The Littles & Me. 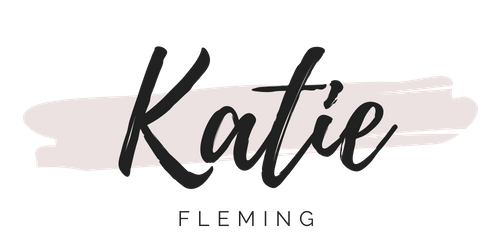 Her new Story Alive Printables are now out and I’m super excited about them! There are endless skills and ways you could do this and the list within this category today is not all that’s possible. Take a good look at your skills, what you’ve done for past jobs and what you’re really good at and see how you could package that expertise and sell your services. If you’re looking to break into the online business seen and make your first $1k the quickest, this is the best way to do it! Exchange your expertise and time for a desired result for a client. Taking someone’s words and transcribing them into a text document. You could even take it a step further and take someone’s dictated words in a voice recorder and build an entire blog post. Teach students online using services like VIP Kid to teach other online students English or other subjects. This is where many people in the online space get their start and specifically where I got my start. Take the skills you have from the workplace and find clients who need those skills and do the work virtually. Provide a specific service for a specific client. 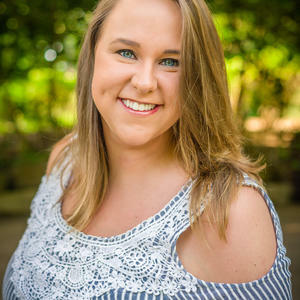 For example, maybe you are doing the bookkeeping for MLM leader in a health network marketing company, or designing real estate flyers for a Real Estate firm. Financial planning is another service you could provide for clients. Be an affiliate for something you love. Is there a program or product that you absolutely love and is there an affiliate program associated with it? Get started, sign up and start promoting it! Amazon is incredibly simple to start an affiliate account with. I’d recommend you have a bit of an audience when you start with them, so that when you promote it, your affiliate account gets some traffic. This is a simple way to share with your followers what it is you love and make it easy on them to purchase it without any additional cost or effort from them. Dropshipping is where you create an ecommerce platform or website and you run the marketing to sell the product. When the product is purchased, it is shipped from a different location, a warehouse aka a dropshipper who handles all the logistics of your inventory management. This could be in the U.S. or oversees, it just depends on how you structure it. The benefits of dropshipping is that you do not have any inventory in your home that you are worrying about and you’re strictly focused on customer service and marketing. I hope this has opened your eyes to what is possible in the online space and if you want to learn more about how you can start your own online business by creating a digital product or coaching based business, then you’ll definitely want to join the free class I’m hosting called How to Make Your First $1k Online Without Sacrificing Your Family Life where we will talk through how you can start and make your first $1k with your own digital product or coaching based business.